The Nigeria Football Federation are doing everything within their powers to ensure that the friendly between the Super Eagles and Burkina Faso billed for Monday in London goes ahead. Reports emerged on Friday night that the match had been cancelled due to the failure of Burkina Faso players to secure British visas. 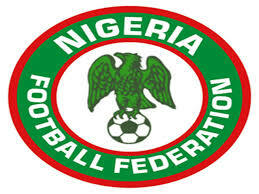 But there has been no official word from the NFF either confirming the report or denying it. However, an NFF official told newsmen that there is still a chance the match could go ahead, even as some inside source insist there is no chance of the game being played. “The FBF (Burkina Faso FA) called the match organiser at 7pm last night to say some of their players could not get UK visas,” a high-ranking NFF official told newsmen on Saturday morning. “They had submitted in Morocco, where they played yesterday. Eight of the players have (visas). We are working hard to see that the match goes ahead, one way or the other. This international window has not been a very satisfactory one for the NFF, who had to deny involvement in a failed live streaming bid after fans who paid N500 each to watch the friendly between the Super Eagles and Senegal were left with blank screens. The Super Eagles held Senegal to a 1-1 draw on Thursday night in London with Kelechi Iheanacho scoring a late equaliser after Moussa Sow had shot the Lions ahead.